Ivan Merz was born in Banja Luka, Bosnia, on 16 December 1896, and was baptized on 2 February 1897. He attended elementary and middle school in Banja Luka and, after a brief period of education at the military academy of Wiener Noustadt, he enrolled in 1915 at the University of Vienna, with the dream of teaching young people in Bosnia; thus, he would be following the example of his professor, Ljubomir Marakovic, who helped Ivan to discover the richness of the Catholic faith. In March 1916, Ivan was enlisted in the army and shipped to the Italian battle front, where he spent the greater part of two years beginning in 1917. 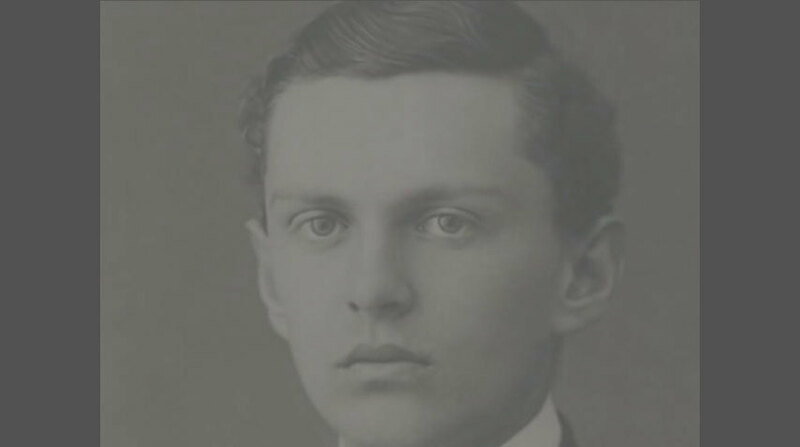 The war experience and its horrors marked a turning point in Ivan’s young life and contributed greatly to his spiritual growth, prompting him to abandon his future into God’s hands and to strive with all his might towards the goal of Christian perfection. On 5 February 1918, he wrote in his diary: “Never forget God! Always desire to be united with Him. Begin each day in the first place with meditation and prayer, possibly close to the Blessed Sacrament or during Mass. During this time, plans for the day are made, one’s defects are put under examination and grace is implored for the strength to overcome all weakness. It would be something terrible if this war had no meaning for me!… I must begin a life regenerated in the spirit of this new understanding of Catholicism. The Lord alone can help me, as man can do nothing on his own”. At this time, Ivan also made a private vow of perpetual chastity. After the war, he continued his studies at Vienna (1919-20), and then in Paris (1920-22). In 1923 he obtained a degree in philosophy. His thesis was entitled “The influence of the Liturgy on the French authors”. He then became a professor of language and French literature and was exemplary in his dedication to the students and to his responsibilities as a teacher. In his spare time he studied philosophy and theology and deepened his knowledge of the documents of the Magisterium of the Church. Ivan was especially noted for his interest in young people and concern for their growth in faith and holiness. 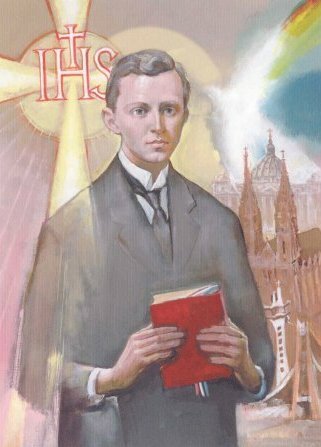 He started the “League of Young Croatian Catholics” and the “Croatian League of Eagles” within the Croatian Catholic Action Movement. Their motto was: “Sacrifice Eucharist Apostolate”. For Ivan, the purpose of this organization was to form a group of front-line apostles whose goal was holiness. This scope of this goal also flowed over into liturgical renewal, of which Ivan was one of the first promoters in Croatia. As a Catholic intellectual, Ivan was able to guide young people and adults to Christ and His Church through his writings and organized gatherings. He also sought to teach them love and obedience to the Vicar of Christ and the Church of Rome. In the face of any misunderstandings and difficulties, Ivan always had an admirable patience and calm, the fruit of his continual union with God in prayer. Those who knew him well described him as a person who had his “mind and heart immersed in the supernatural”. Convinced that the most effective way to save souls was through efficacious suffering, he offered to God all his physical and moral sufferings, particularly for the intention of the success of his apostolic endeavours. Shortly before his death, he offered his life for the youth of Croatia. In short, the young man believed that his vocation was very simply “the Catholic faith”. Ivan Merz died on 10 May 1928 in Zagreb. He was 32 years old.